The wall sections are clad with a 12mm finished shiplap cladding. 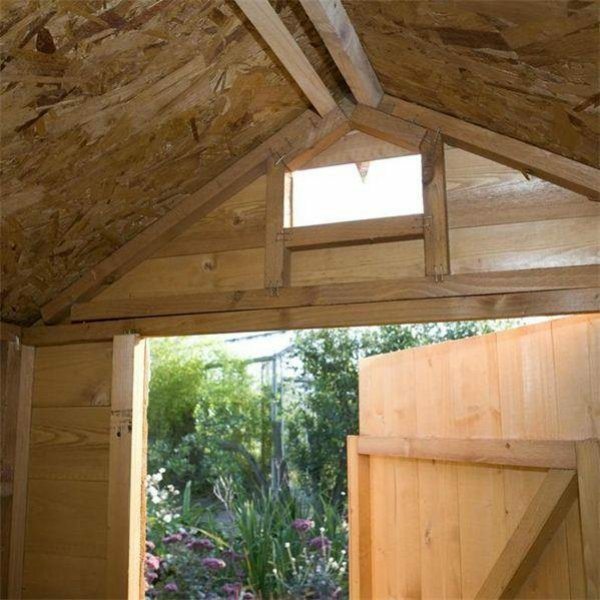 Constructed with plywood for the roof, the shed’s floor is made of tongue and groove (TGV)boards. 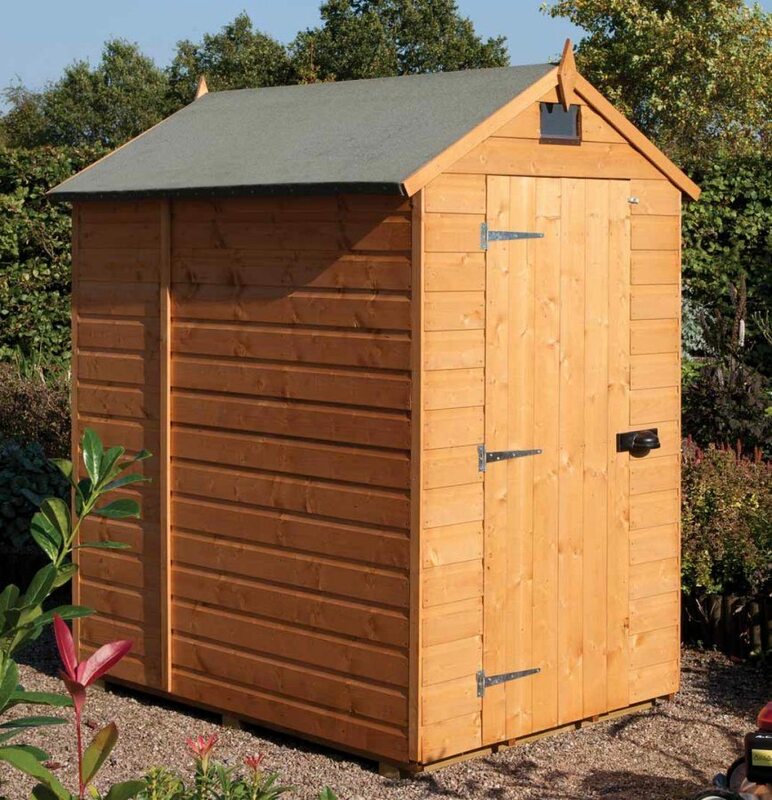 The shed is supplied with mineral felt for the apex pitched roof. 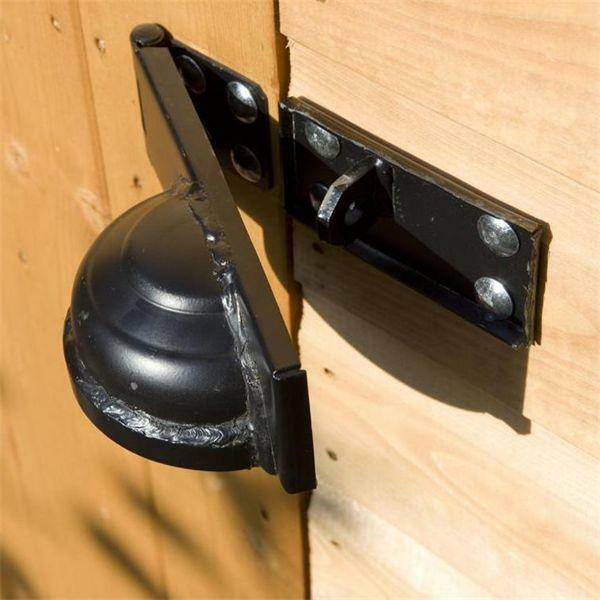 Furthermore the shed has a small Apex window because it offers less intrusion to the inside. 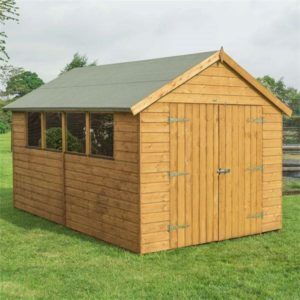 Although the shed is supplied ready stained this is described by Rowlinsons as “To VALIDATE the guarantee, the building must be properly treated with a recognised external wood preserver WITHIN 3 MONTHS of assembly and RE-TREATED ANNUALLY thereafter”. 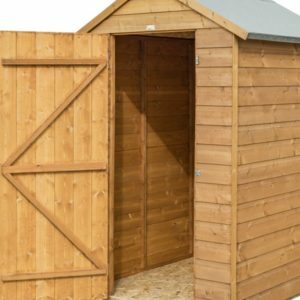 Therefore we would recommend treating the shed as soon as possible, 3 days is better than 3 months! Rowlinson’s recommend that a suitable wood preservative is applied to both sides of the floor before assembly. Finally ensure your chosen finish is suitable for use with planed timber. 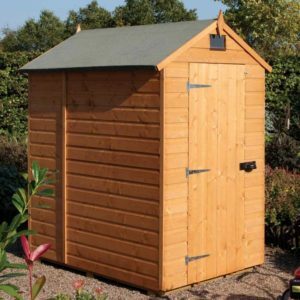 All Rowlinsons garden buildings are delivered to kerbside in flat pack format for customer assembly. 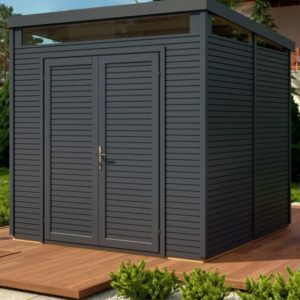 Consequently each shed is supplied with detailed Assembly Instructions. Because they might be needed for future reference they can also be downloaded in PDF format. Provision must be made to avoid ground contact and ensure that air can circulate underneath the building. 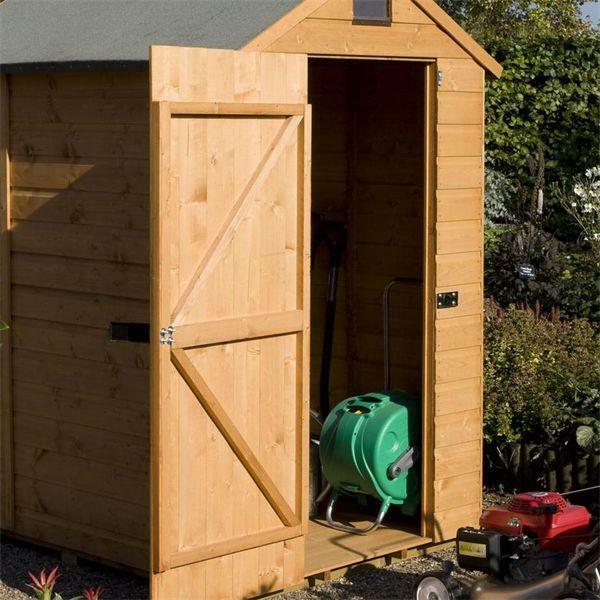 Placing the shed on a concrete pad or slab base is acceptable provided that the shed is placed on UC4 pressure treated wooden bearers (These are not supplied in the kit).